Storey Publishing, LLC, 9781612121802, 320pp. One person really can make a difference. From starting neighborhood kitchens to connecting food pantries with local family farms, Ali Berlow offers a variety of simple and practical strategies for improving your community’s food quality and security. Learn how your actions can keep money in the local economy, reduce the carbon footprint associated with food transportation, and preserve local landscapes. 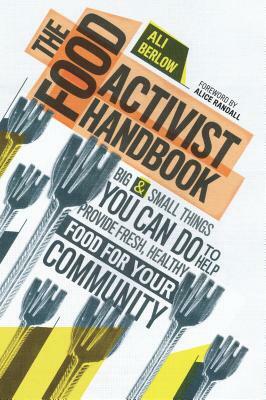 The Food Activist Handbook gives you the know-how and inspiration to create a better world, one meal at a time. Ali Berlow is the author of The Food Activist Handbook and The Mobile Poultry Slaughterhouse, and the co-owner of Edible Vineyard magazine. Berlow founded and served as the first executive director of Island Grown Initiative, a grassrooots nonprofit that encourages and supports a resilient and accessible local food system on Martha’s Vineyard. She is the co-host of “The Local Food Report,” a public radio program out of WCAI in Woods Hole, Massachusetts. She lives in West Tisbury, Massachusetts, and in Putney, Vermont. "An excellent job of providing — in digestible chunks — dozens of steps anyone can take."